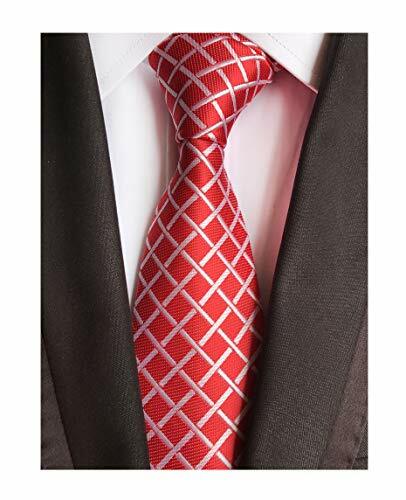 * A Checked Tie,like the stripe,is another tie pattern that is suitable for the conservative workplace. Usually made up of small lines crisscrossing each other throughout the length of the tie,checked tie can have mesmerizing visual appeal. * The checked tie has many shapes and faces,enough to keep any pattern lover enchanted for a lifetime. 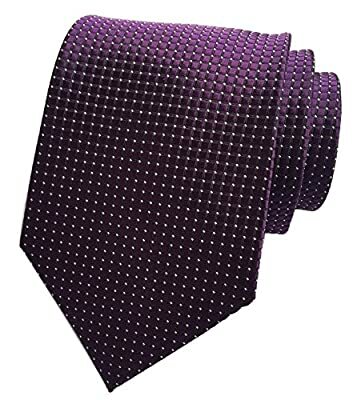 * This striking style,made up of a solid background crisscrossed by lines of a contrasting color is one of the most basic,and essential patterns for any man's wardrobe. 1. This Tie Pattern is also a great choice for work or play. Checked neckties have no connotations like some other patterns (namely paisley and stripes) do. It is a clean cut design that adds interest to a solid suit and shirt,but is not overly busy or distracting. 2. For all of these reasons,many men choose to wear the checked necktie to work. After heading out from work for a drink,or perhaps dinner,the strong lines of the tie will make you stand out as fashionable and stylish,without pushing your image over the edge. 3. The pattern is both professional,but casual enough to leave the workplace with you. For extremely formal events however,it is better to stick with a Solid Colored Tie or bowtie,rather than a patterned tie. Nonetheless,the checked necktie will make a valuable,and frequently used addition to your wardrobe. 1. Window pane checks usually only have two different colors. The check pattern usually is made up of one or two parallel lines that are darker than the background. Window-pane is a very common pattern for suits and blazers,but is also occasionally chosen on a tie design. Window-pane check ties are best worn with solid shirts as well as very tight patterns,such as narrow striped shirts or shirts with gingham checks. 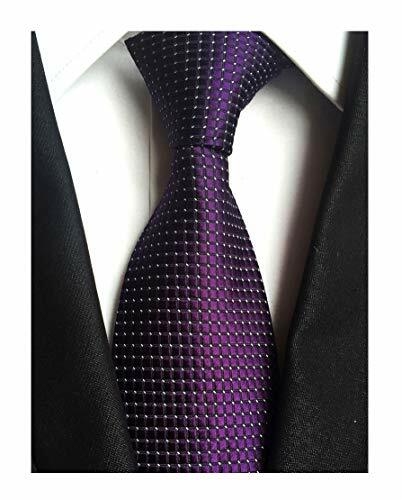 Length: 57"/145cm,Skinny Width: 3.15"/8cm,Business fashion Window pane checks slim necktie,suitable for mens and Big boys,Color: Royal Blue,Material: care-free microfiber polyester,Dry cleaning,low temperature ironing. 1200 stitches to make sure our tie stand in a durable quality and perfect performance in your daily dress. This gingham check tie in light blues is your ticket to raffish refinement! 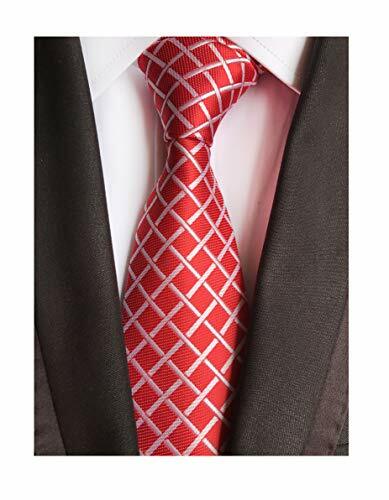 It is a brand new color and design by necktie maker Secdtie,and even though we just received this collection,it has already become one of our best selling designs. The royal blue is understated and subtle,yet capable of carrying a darker suit's more conservative statement. This tie is an essential element in any businessman's summer wardrobe. 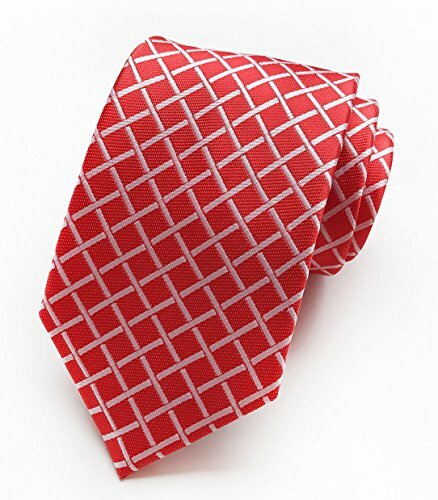 This tie is paired best with a crisp,white shirt and dark gray suit. The effect is a classic and elegant statement. 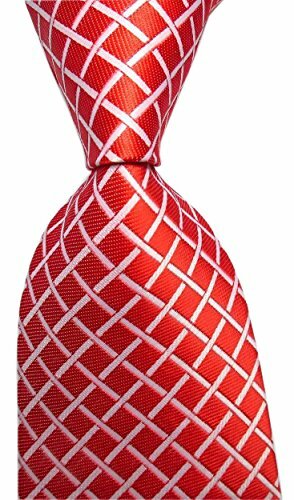 You can also wear this tie with medium width striped shirt and a navy blue suit for a more active,traditional impression. Grab one before we sell out! If this is not your color,then we also got this tie in seven other stylish hues. Made from man-made silk.